When I was a boy and worked with my father, he always told my brothers and me to use the right tool for the job. We quickly learned that when we didn’t, not only did we know it, but he could tell also. 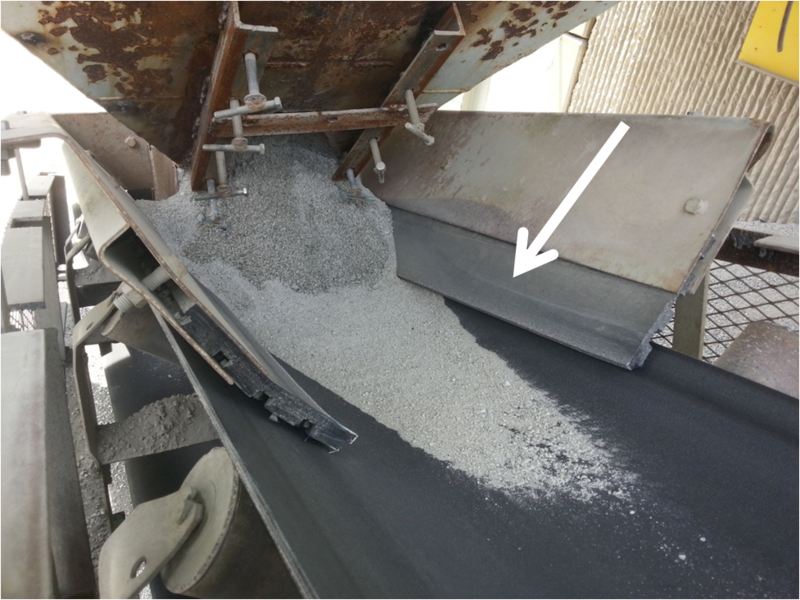 When it comes to keeping material on a conveyor belt without harming your equipment, the Right Tool for the Job is Polyurethane Belt Skirting. Before installing Polyurethane Skirting, this customer was using rubber “tire tread” type material thinking this would be a wise, economical solution that would never wear out. They did not realize that the solution they chose was not the “right tool for the job” until it wore the belting and leaked like a sieve. Because it was too tough and too difficult to trim, it wasn’t properly installed to seal all corners. It would not be easy to measure the drag and stress that it had on the drive system, but the material was originally made for grip, thus the tread. This particular conveyor would spin/slip on the head pulley at start up and that’s how they were reminded to shovel the debris away from the tail pulley which was causing the spinning and slipping. Leakage is inevitable when the material is not right for the job. It’s important to have material that will wear just enough to conform to the belting application but is strong and durable enough to prevent premature wear. 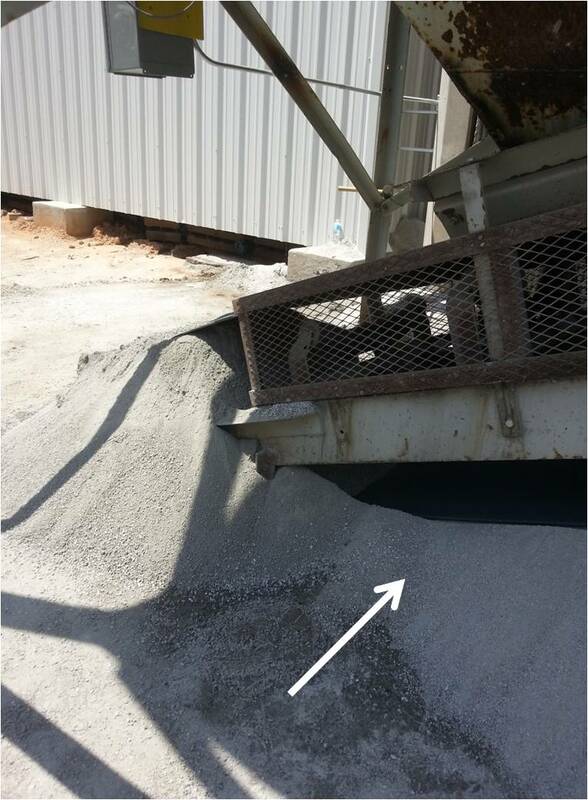 Our customer was looking to find a better solution to the spillage waste and cleanup problem as well as diminish the cost of regularly replacing rubber skirting all of which increase labor and material costs. Additionally, our customer had increased schedule shutdown costs due to increased maintenance and equipment damage to their rollers, belts, bearings, shaft, bushings, tail pulley, etc. In this application, it took 45 minutes to remove the old material and trim and install the new polyurethane. Polyurethane Belt Skirting can be used to contain material at the transfer points on your belt line. Varying heights and thicknesses are available. Let Jamieson Equipment Company partner with you as your Complete Solution in parts sales and support. Talk to us about a “Plant Evaluation” – with more than 30+ years of experience, we can save you time and money and find the Right Tool for the Job! This entry was posted in Uncategorized and tagged Conveyor Belting, Conveyors, Fold-n-Seal, Load Zone Containment Skirting, Polyurethane Belt Skirting, Skirting, Snap-Loc Dust Seal, Wedge-Loc Clamp. Bookmark the permalink.